New logos for every team. This was just brought to my attention today and it’s pretty nice. These fan concepts are really detailed and it’s a fun take on the NFL logos. 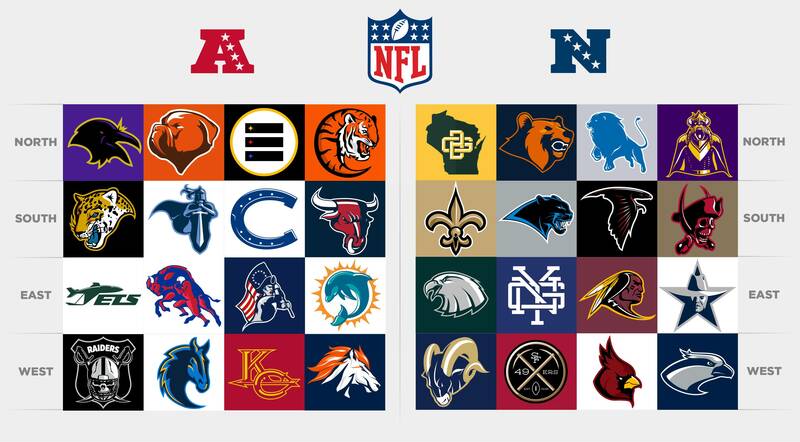 Although the NFL would never adopt any of these over-detailed logos, it just shows how creative some logos can be. This entry was posted in Logos, NFL, Uniforms & Design and tagged Concepts. Bookmark the permalink.